How to find loose slots? Here we will give main guidelines and tips on how to find the loosest slots in any online casino. The knowledge on how to find loose slots have always been the Holy Grail of casino players. There are a lot of myths surrounding that topic, especially regarding land casinos: near the entrance, in the end of the line, etc, and although there is no buffet in online casinos, there are still certain guideline you can follow in order to find loose slots and avoid the tight ones. 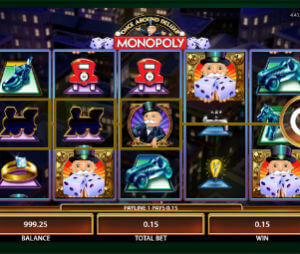 Online the situation is a bit more simple since many slot developers publish the expected return on their machines. Below you can see a list of best paying slots by software and then updated overall rating. Unfortunately, not all providers publish these details. In this article we will go over the key rules on how to find loose slots in any online casino. For specific slots and more info on how online slots work, how they differ from land slot machines, feel free to click through to the relevant pages. If you find our loosest slots list helpful, we would appreciate if you share it with others. Thank you! There are endless speculations regarding loose slots. It’s natural, since finding a loose slot is the Holy Grail of every casino player. Before we go into that, we need to be clear: there is ONLY one sure way to know if the slot is loose or tight and that is to check the RTP (Return to Player). RTP of a slot machine is the single number that defines what is the average return the player will get. The higher the RTP – the looser that particular slot. Luckily, many of online slots developers are forced to publish the RTP of every slot they make, so you have no reason to search for various signs and follow ridiculous beliefs. All you need to do is check the number and that’s it. As simple as that. Generally speaking, when it comes to internet slots, 97% and higher is loose. 95%-96% is average. Below 94% the slot should be considered tight. Stay away from Progressive Slots. Progressive slots sound like fun- Who wouldn’t like to win $1,000,000 in one spin, but the chances of hitting the jackpot on a progressive slot are similar to winning in lottery. The casinos promote them and their huge jackpots in order to attract players, but for every player that hits the jackpot, 1,000,000 players loose all their bankroll. Our first advice: stay away. If you just have to try: limit yourself to 10% of your bankroll or lower. Old slots tend to be more loose than the new ones. The reason behind this rule is simple: most of the players that visit the “New Slots” section of the casino are the regular players, the loyal customers that are checking the new game. The casinos are aware of that. They know that new slots is what the regular players are looking for and it’s very unlikely for them to abandon the casino after few bad sessions on the “exiting- one of the kind- special-new” slot machine and take advantage of that. Look for boring, old slots. In most cases they are more loose than the exciting ones with special graphics and effects. This rule is less precises than the previous two and it’s more of a guideline. The reason behind it is that the casinos like to post that their payout is up to 97%/98%/99%/etc. Of course it doesn’t mean that all slots pay 99%, but still there are one or few that do have that payout. The highest chances to find those slots are between the “forgotten” slots, the ones the almost no one plays. It takes some time and some testing, but if you go over few slots and you are patient, you will find it. These are the 3 main rules on how to find loose slots. In the next articles you can find on how to take advantage of that and the best strategies to beat slot machines.